1. How large is your company and what is its focus? Although size isn’t a determinant of the quality of the services a real estate group offers, it could indicate where they assign their priorities. An agency or brokerage whose practice is primarily focused on selling real estate might regard property management as a secondary activity. It’s important to learn before signing with a real estate agency, how much energy and effort they devote to their rental management services. They may disclose how many properties they service, and tell you how many managers they have on staff strictly for management services. 2. Are you licensed and bonded? In most states, real estate agencies must be bonded before they can sell homes, and while it may not be required by individual state law, most agencies only hire licensed agents to work as rental agents, even in multi-family leasing. A bona fide real estate agency must have a surety bond, whether they hold it themselves or their designated broker does. Make sure that these legal and financial protections are in place before you sign. 3. Do you offer a menu of services? Before making a commitment to a particular management group, learn what their services include and what the fees associated with them are. Some agencies provide management services that include all advertising and lease-up transactions to every aspect of maintenance. Many property owners want the full venue of services, but if you can take care of some things and prefer to, ask if that’s an option. See also JWB Property Management: How Does It Work? 4. Do you have your own staff for property maintenance and upkeep and when do you use subcontractors? It’s important to learn if the management company has their own staff of qualified trades or if it uses subcontractors. Some repairs and upgrades should or must be done by a licensed contractor or staff member, like HVAC, electrical and plumbing work to either meet local building codes, warranties, or insurance stipulations. Other improvements, like redecorating, may not require a license, but for your financial protection, insist that any subcontractors they use are covered by a bond and insurance. The timeliness of repairs also matters because they may be stipulated by local regulations. Whether or not they are, the property management company should have a track record of prompt repairs, especially for HVAC, electrical and plumbing issues. 5. Do you personally show the property to prospective tenants? Unless you live in a market where the demand for rental homes is extremely high, insist on working with a management group that shows the property in person versus using Wi-Fi electronic keypads for remote access. When an agent personally shows the property, he or she can answer questions, point out advantages and special features about the home that would otherwise go unnoticed. 6. Do you subscribe to credit, employment and background reporting agencies, or run the reports on an ad hoc basis from different vendors? 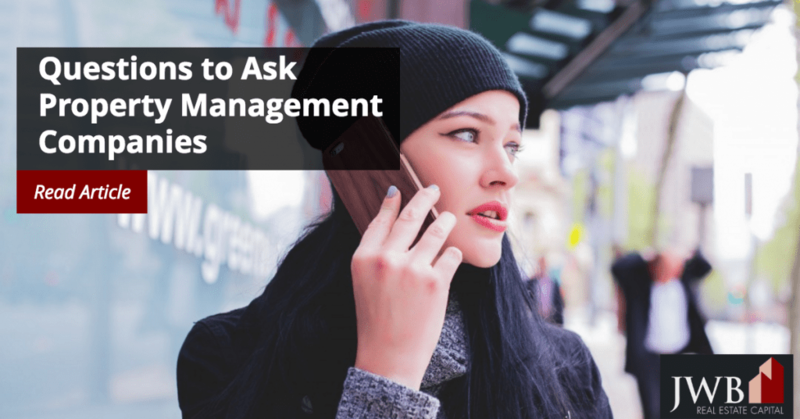 While it isn’t necessarily a make-or-break issue, a property manager who subscribes to these databases is more apt to carefully screen each applicant than one who doesn’t.